Daily Illuminator: Visit Us At BGG Spring 2017 This Memorial Day Weekend! May 25, 2017: Visit Us At BGG Spring 2017 This Memorial Day Weekend! 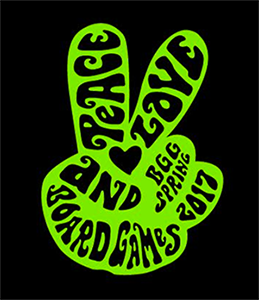 Fun in the sun is nice, but if you're a gamer, BGG Spring 2017 is where you should be spending Memorial Day weekend! We'll be there, with games and swag galore, for four solid days of gaming, May 26-29. The convention has sold out, but if you are lucky enough to be attending, stop by booth 401 to demo recently released Batman: The Animated Series Dice Game and upcoming releases like Ghosts Love Candy and Port Royal! Plus, we'll be giving out a ton of promo swag just for stopping by, so make sure to come see us! And if you show a staffer a social-media post with the hashtag #SJGamesBGG, we'll hook you up with some bonus swag. You can't lose! We'll see you in Dallas!